Genji Firefly. Photo by Photo Koko. Getting to know the positioning of fireflies to the Japanese will surely be one of the good ways to enjoy the Summer in Japan. If you get to see some famous arts as well as HaikuW and classical novels describing summer of Japan, you will find ‘fireflies’ a lot. The oldest piece written about the firefly is on NihonshokiW, known as ‘The Chronicles of Japan’, the second oldest book of classical Japanese history finished in 720. 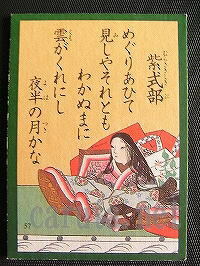 But the most famous written two pieces are musing of Summer by Sei ShonagonW’s ‘Makura-no-Soshi’ or ‘The Pillow BookW’ and the hero and heroin’s deep thoughts to their beloveds by Murasaki ShikibuW in her ‘Genji Monogatari’ or The Tale of GenjiW. “I would say night is my favorite in Summer. Not only when the moon shines, but on dark night with many fireflies breaking up into the air is wonderful. One or two fireflies drifting into the dark with faint light is also elegant. While The Tale of Genji written in the early 11th century, in Heian periodW(794 -1192) by Murasaki ShikibuW, the first novel in the world, expresses that the hero, Genji, lets fireflies go in the room where his beautiful adopted daughter, Tamakazura, sits behind the blind in the dark. The light of the fireflies defines the beautiful looks of Tamakazura to Genji’s brother who was attracted to her, more after seeing her beautiful looks through this Genji’s mischief. 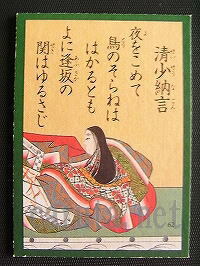 This romantic story is from chapter ‘Horatu (firefly)’ in The Tale of Genji. Of course, apart from these two famous works of literature, there are many other classic Haiku on love, viewing the fireflies’ lights as lust of love. Unlike the cicadas or locusts chirping loudly in the day time, fireflies twinkle at night instead of chirping to express themselves which is thought to be more elegant to express their romantic thoughts at that time. Fireflies are indeed romantic insects in Japan from ancient times until today. So keeping the romantic image of fireflies in your mind, if you are in Japan during June to early July, it would be great to see the fireflies, twinkling in the creek of country side. 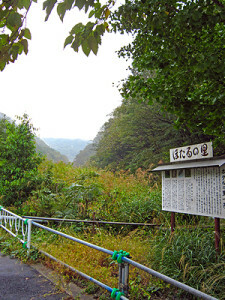 Isshiki is a small rice farm village located among the mountains by National Route 300, ‘Motosu-michi’, right after crossing the mountain of “Michi-no-Eki ‘Shimobe (MICHI-NO-EKI ‘SHIMOBE’)“. 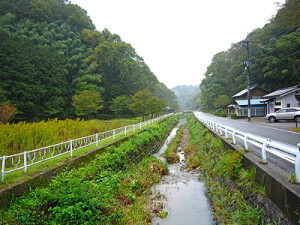 There is a creek running through, by the road, in between ricefields and farm houses on both sides. It is a typical type of farm village you see among the mountains in Japan but in June, you would see fireflies twinkling at night around the creek, flying around…. just amazing! On a starry night, you will get to see more amazing scene, twinkling lights from every direction, stars in the sky and fireflies’ lights, twinkling and flowing above from the ground up to sky! Fireflies of Isshiki. Photo by Minobu-hatsu. There are three types of fireflies that arrange romantic nights in Japan, ‘Genji’, ‘Heike’ and ‘Hime’. If you are familiar to Japanese history, you may realise the names of the two fireflies are the names of the two clan families in the end of 12th century, who fought for the control of Japan in Genpei warW. 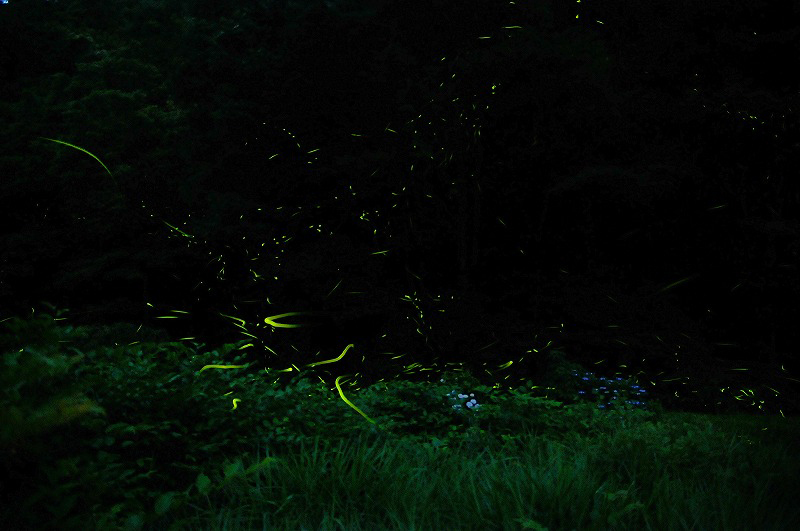 It has been said that the souls of dead Genji and Heike soldiers’ reincarnation are these fireflies and gather. It is interesting that Genji fireflies and Heike fireflies never show themselves together. Genji fireflies appear from the end of May to the end of June, while Heike fireflies appear from July to August. The fireflies you see in Isshiki are Genji fireflies. We have been to many places near Tokyo (around 2 hours on our car) to see fireflies’ fantastic twinkling shows at night and think Isshiki is the best spot to see them! 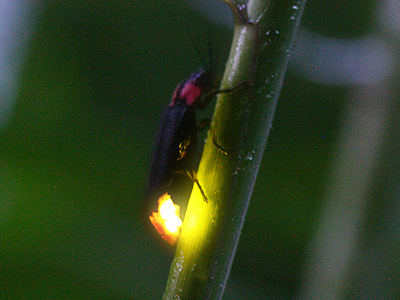 In Isshiki, residents have been protecting the fireflies and the environment establishing the Fireflies Preservation Association. Thanks for their actions and efforts in propagating fireflies under their natural environment, the number of fireflies are thought to be No.1 in East Japan. In the season of fireflies, from beginning to mid June, no streetlights are lit for fireflies are sensitive to bright lights and won’t light themselves if there are strong lights near them. The amazing experience in June night at Isshiki is strongly recommended! 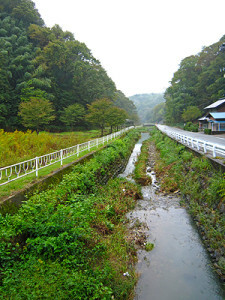 During the firefly season, the village arranges specified car park which costs about 500 Yen and is used for keeping the fireflies’ suitable environment. 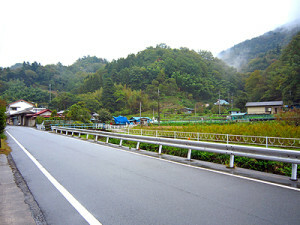 Address : Isshiki, Minobu-cho, Minamikoma-gun, YAMANASHI Pref.